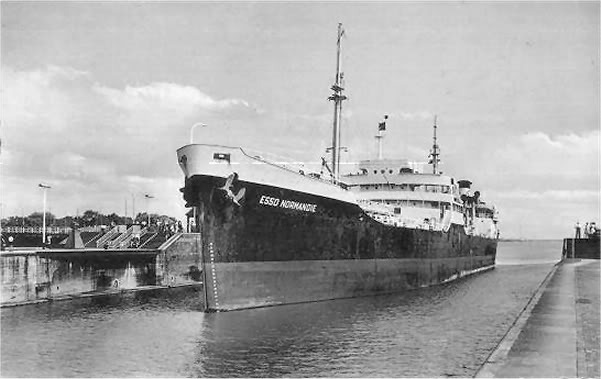 "Esso Normandie" was build in 1944 as "Ochoco". 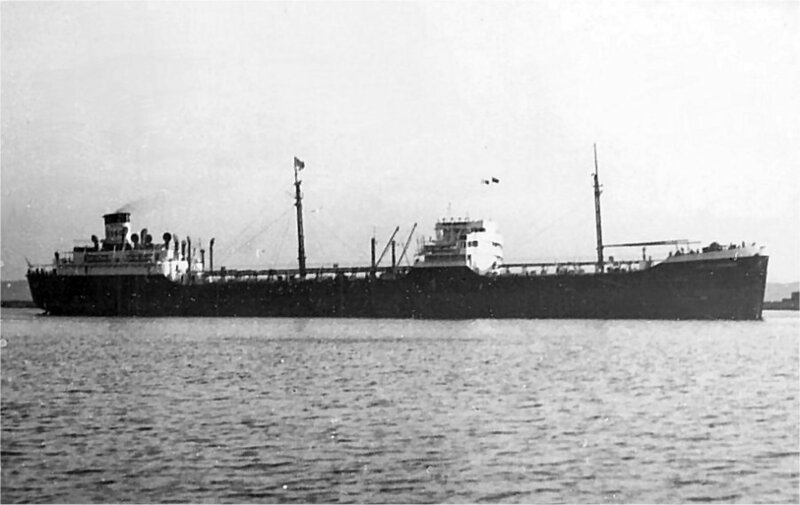 The Miramar Ship Index for "OCHOCO"
10443 g. 6300 n. 16850 d.; 159.56 oa-153.31pp x 20.74 x 11.96 meters (9.19 draught). Steam turbine connected to electric motor & screw shaft of 1486 MN (6000cv) by General Electric Co., Lynn, Mass. 16 knots. 03.1944 : completed by Kaiser Co. Inc. (53). Portland, Or. 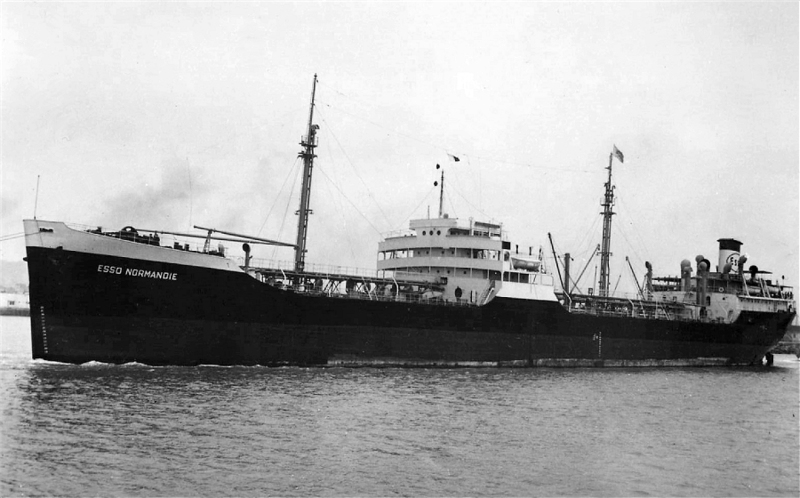 as OCHOCO for U.S. War Shipping Administration. 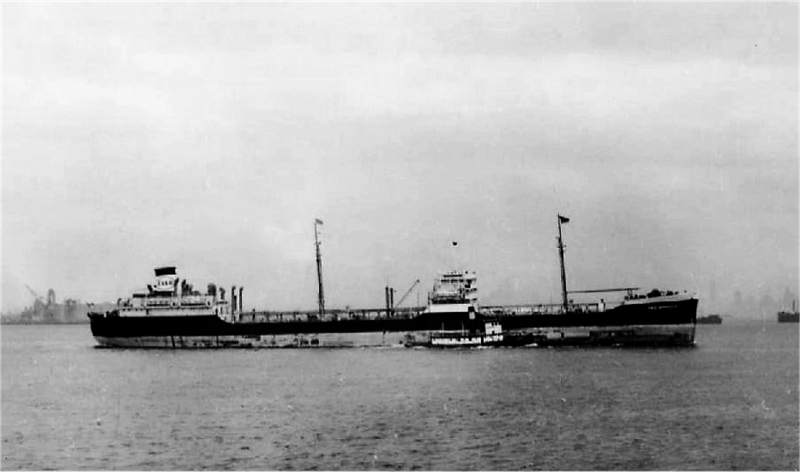 1946 ; released to U.S. Maritime Commission. 1948 : purchased by French Government (Standard Française des Petroles), Le Havre and renamed ESSO NORMANDIE. 25.03.1961 : arrived at La Seyne for demolition.